The son of former IGFA Chairman Paxson Offield, Chase Offield delved into sport fishing at a young age on California's Catalina Island-- catching striped marlin, white sea bass, tuna, and other species. The young Offield also developed a lifelong affinity for fisheries conservation and science and ethical angling practices. The family launched the Offield Center for Billfish Studies where they teamed with fishing friends to deploy satellite tags in pelagic fish in Australia, New Zealand, Mexico, Costa Rica, Panama, the Galapagos Islands, Tahiti and the U.S. Their research was integral in the early testing of satellite pop-up tags, SPOT tags, and studies of post-release mortality using circle hooks versus j-hooks. The Offields were early supporters of the IGFA Great Marlin Race and continue to help grow the program. Chase Offield enjoys fishing with friends as well as high-level tournament competition. 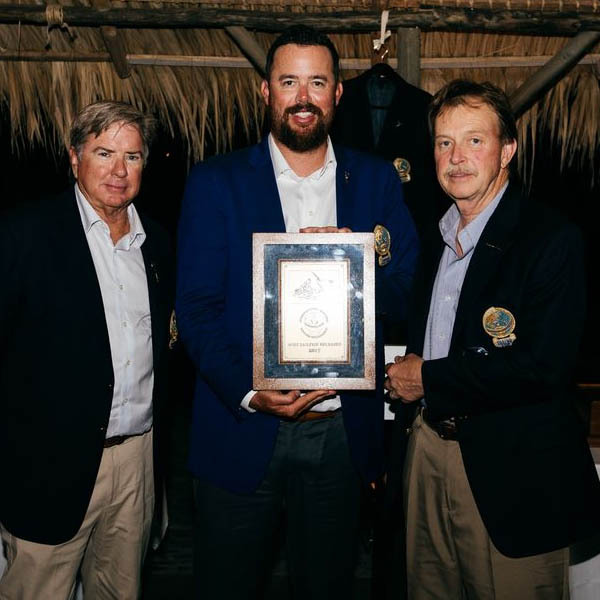 A past chairman and two-time winner of the International Masters Angling Tournament, Offield believes the event is the ultimate test in angling that strictly adheres to IGFA rules.